on the first preliminary leaf of Master Mind of Mars. Description : Established as a memorial to Nell Dismukes McWhorter (1908-1976) by her son, curator George T. McWhorter (1931- ) this collection of Edgar Rice Burroughs (1875-1950) is the largest in any institutional library world-wide. 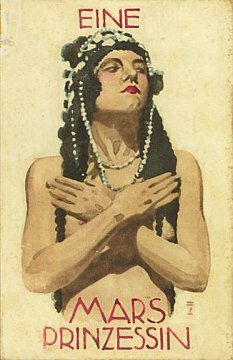 First editions in English and thirty other languages, many in original dust jackets, rare periodicals with first appearances in print, pulps, comics, fanzines, films, posters, correspondence, photographs, and memorabilia, all document the popular culture phenomenon of Tarzan and other heroes created by Edgar Rice Burroughs. 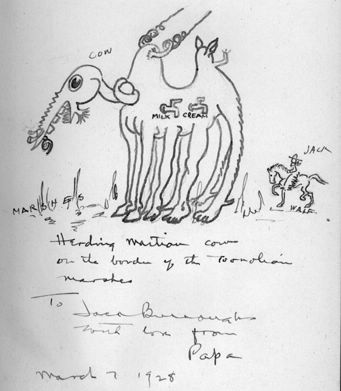 The collection is especially rich in primary source material, with original art by illustrators J. Allen St. John (1872-1957) and Burne Hogarth (1911-1996), the files of first Burroughs biographer Irwin Porges, as well as Burroughs family letters, photograph albums, notebooks, and unpublished works. Also present are audio tapes of interviews with the author's family and friends and signed presentation copies of his works. 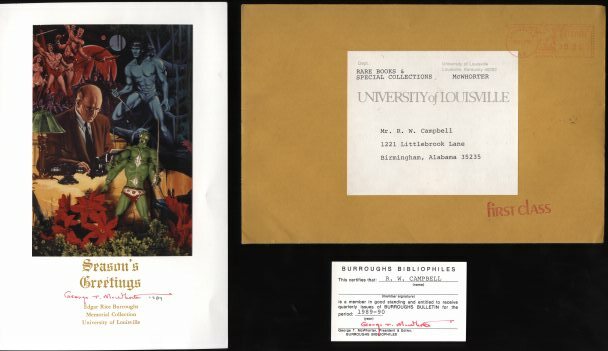 The University of Louisville collection has served as a major resource for television and print documentaries on Burroughs, most recently John Taliaferro's Tarzan Forever (1999) and a forthcoming feature in Smithsonian magazine. George T. McWhorter, curator, principal donor, and editor of Burroughs Bulletin and The Gridley Wave, received in 1999 the first Burroughs Empire Medal from the international society Burroughs Bibliophiles. The generosity of George McWhorter has inspired other donors, most notably Roy and Dela White of Colorado, who gave their extensive collection, including the family papers of Edgar Rice Burroughs' daughter Joan, in 2000. The only CD label dedicated to music from classic science fiction, fantasy, and horror films! 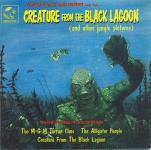 On the CREATURE FROM THE BLACK LAGOON (and other jungle pictures) album is a 5-minute suite featuring almost all the orchestral music music written for M-G-M’s famous TARZAN films of the 1930s and '40s starring Johnny Weissmuller, Maureen O’Sullivan, and everyone’s favorite chimp, Cheeta! 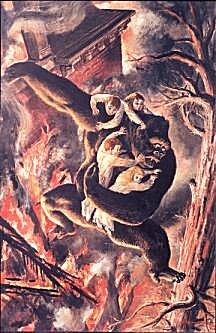 These vine-swinging movies had very little music in them, making the cues that were used very memorable. The seven pieces include the wonderfully outlandish "A Cannibal Carnival," which served as the Main Title for Tarzan Escapes, Tarzan Finds A Son!, Tarzan’s Secret Treasure, and Tarzan’s New York Adventure. And of course, the suite closes with the gorgeous “My Tender One,” which ended four of the films on a triumphant note after Tarzan, Jane, Cheeta, and Boy vanquished their enemies and resumed their normal routine of day-to-day jungle living. Of special note is the long-lost cue "In The Woodland," which was deleted from Tarzan Escapes before the film was released. 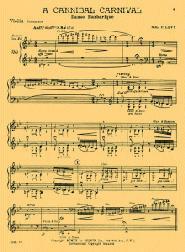 The evocative piece is heard on this CD for the first time since the 1936 scoring sessions! And there’s even a :13 "End Title" that sounds like Cheeta laughing, because that’s what it was written to accompany! Who else but Monstrous Movie Music would preserve this priceless moment featuring everybody’s favorite cinematic chimp? The Tarzan suite contains important genre music from great composers like Herbert Stothart, William Axt, and Daniele Amfitheatrof.